Today I am excited to be sharing a year long sew along that I am participating in with 11 other bloggers. You can find all of the details on Underground Crafter. 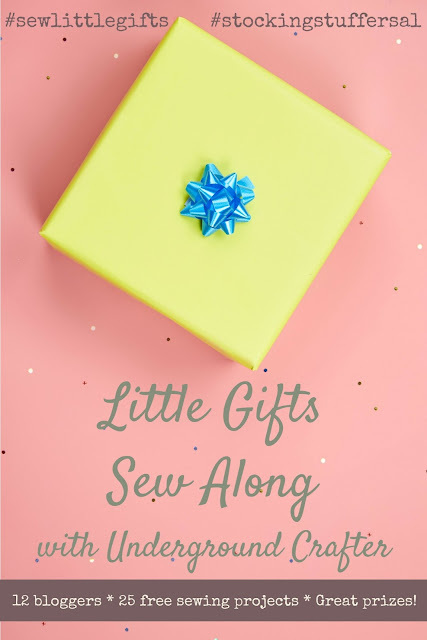 The basics are that every other week one of us will be sharing a small sewing project, a "little gift" idea. Something that takes 1-4 fat quarters, or less than 1 yard of fabric to make. They will all work as stocking stuffers, or for any other time you need a small gift. The idea is that by the end of the year you will have lots of little gift ideas perfect for Christmas stockings, or just building up a stash of gifts. Along the way, if you make the projects and share them HERE (click the link then scroll to the bottom to find the linkup) you will be entered to win fun prizes from some of our favorite craft companies. So now that you know most of the details, or at least where to find them, let's get on to my project. When I was thinking of what I wanted to make I thought of my kids and the things they wanted in their stockings last Christmas. 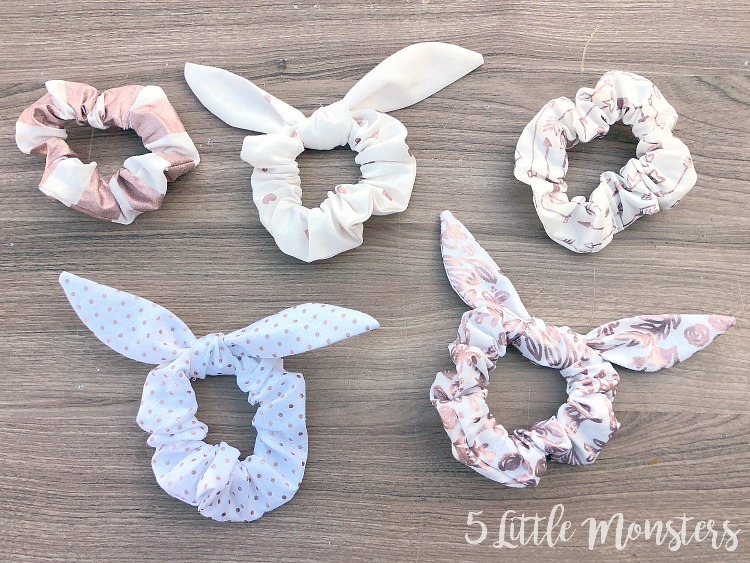 One of the things my oldest daughter requested several times was a pack (or several) of scrunchies. She even chopped off her hair and still asked for them. When I asked her what she would do with them she told me she would just wear them around her wrists to look cute. 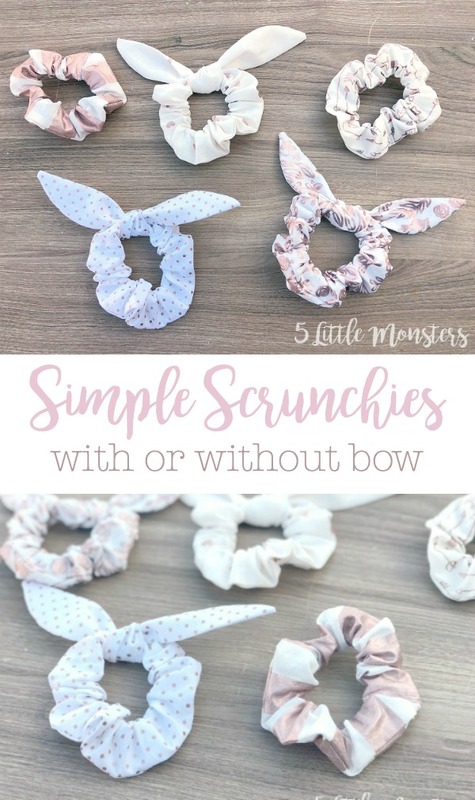 I think it is funny because scrunchies were a thing back when I was her age, but since they are now cool again, and super easy to make, I thought they would be a great little gift project. I made some plain, and I added bows to some. 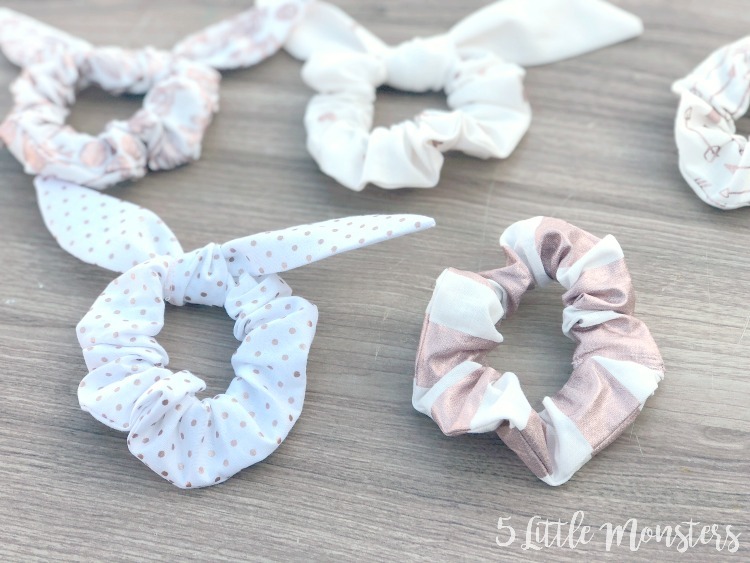 I think the bow version is cute, but either way they are super quick and simple to make. 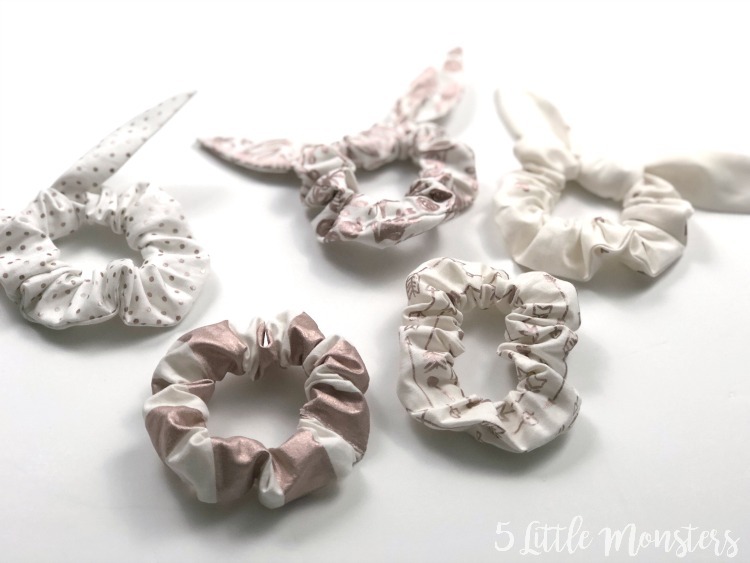 I used the Cricut Designer Fabric Sampler in Yes Please for my set of scrunchies. 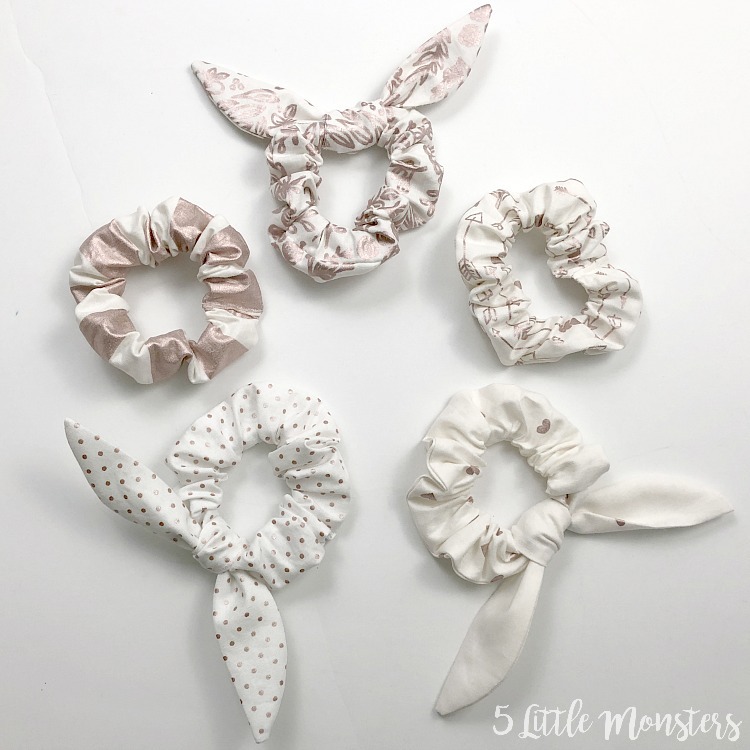 There were 5 fabrics in the sampler so I made 5 scrunchies. I made 2 plain and 3 with bows. 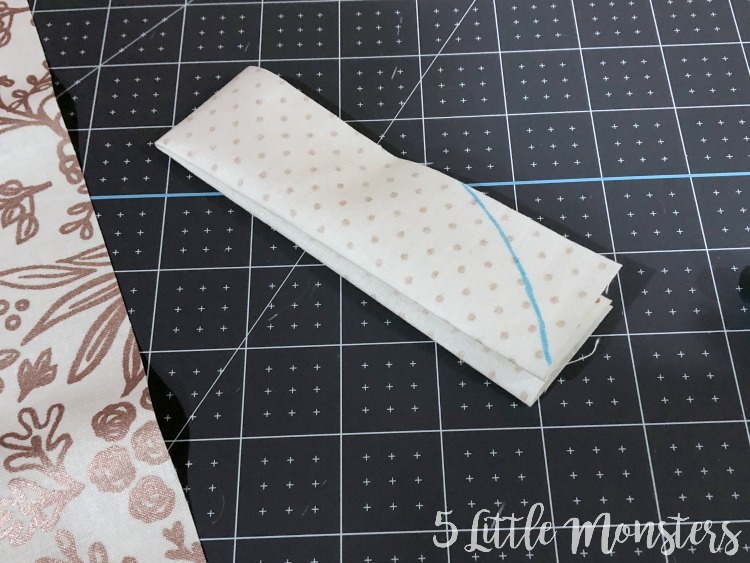 Sew the long piece into a tube (all sewing is done with a 1/4" seam allowance). I usually sew one short end and then the long end because it is easiest to turn with and end sewed closed. Then I just trim that short end so that it is open again. Fold in one end of the tube so you have a neat edge and tuck the other end in. Sew across the tucked in end to close, if you would like a neater seam you could hand stitch around the opening instead. To make the bow fold the bow piece in half lengthwise and sew along the curved edge leaving a small opening in the center. Clip the curves and turn inside out, press lightly, stitch across opening to close. Tie the bow in a simple knot around the scrunchie, I tied it around the seam on the scrunchie to hide the seam.